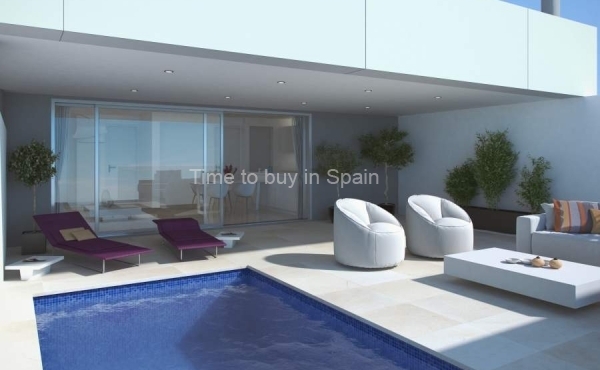 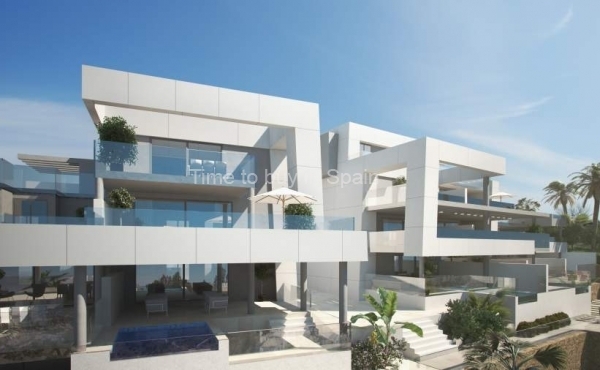 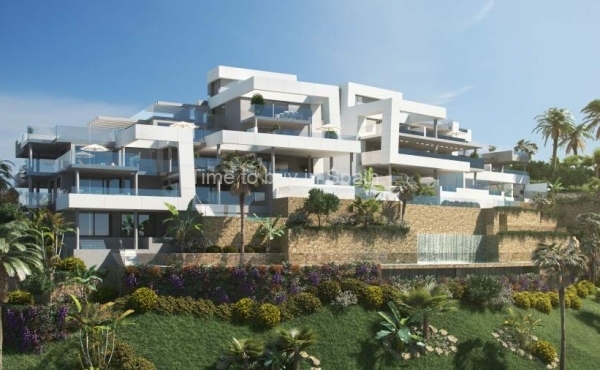 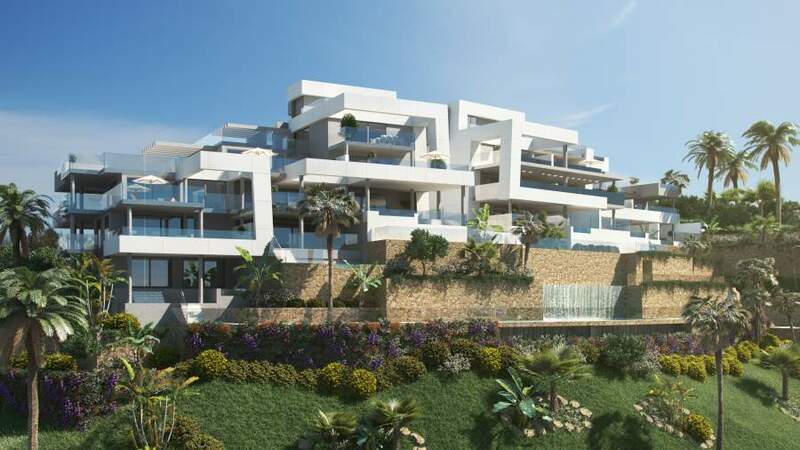 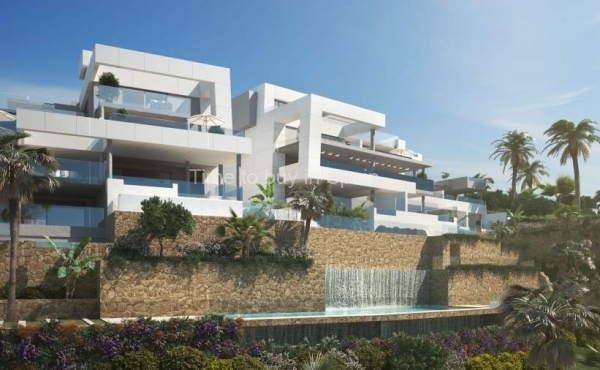 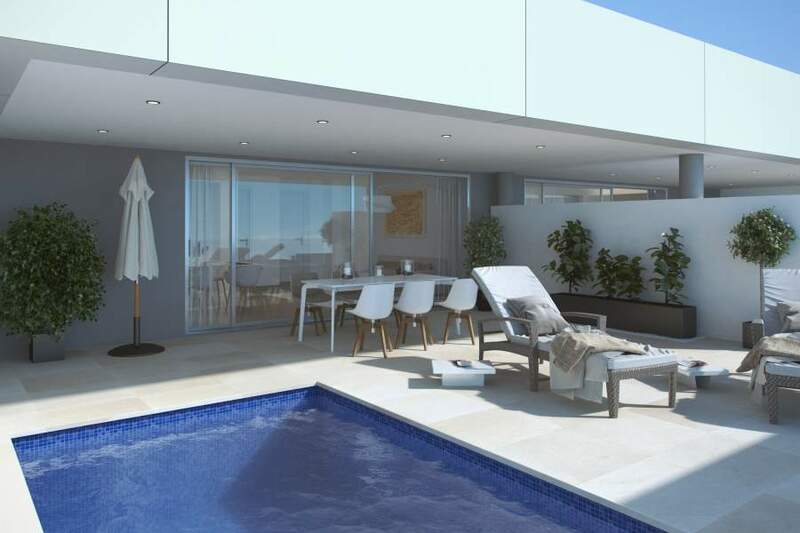 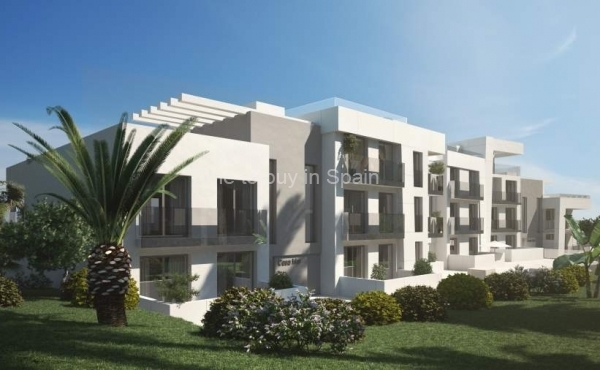 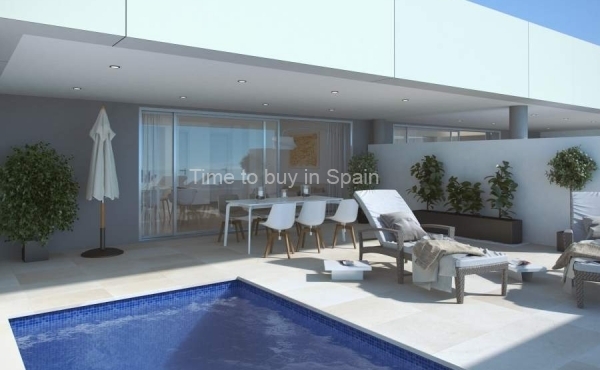 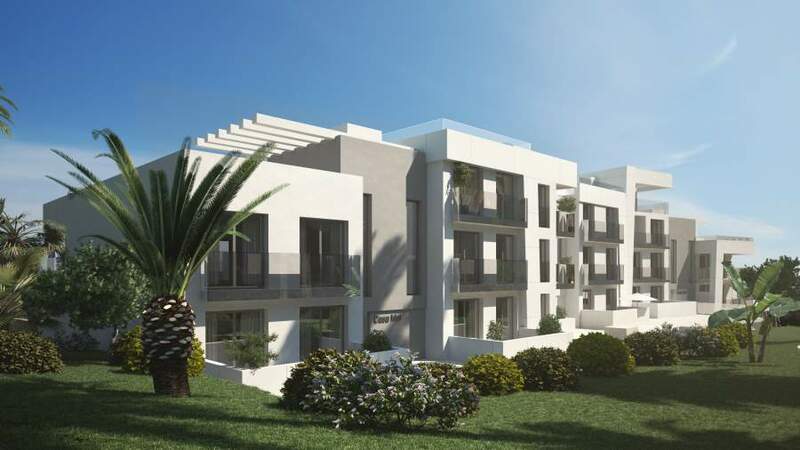 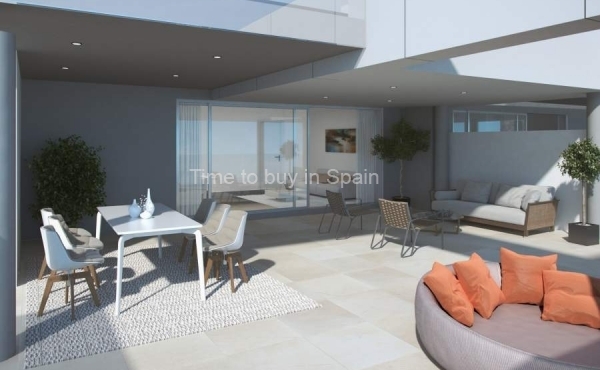 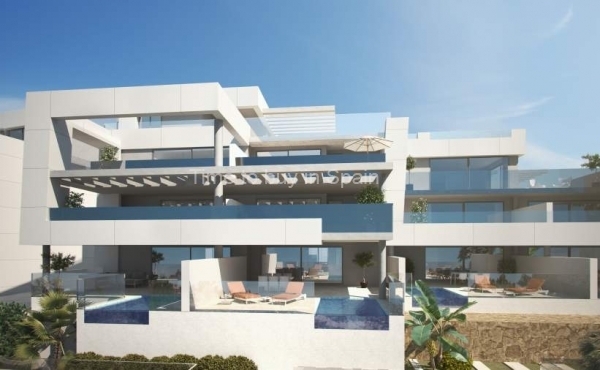 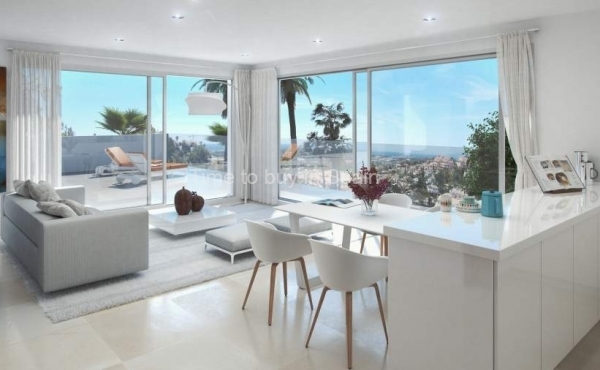 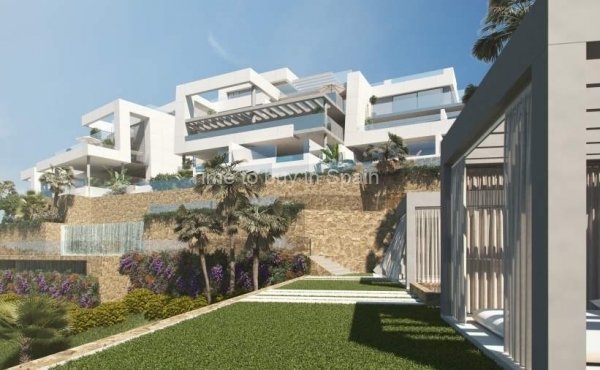 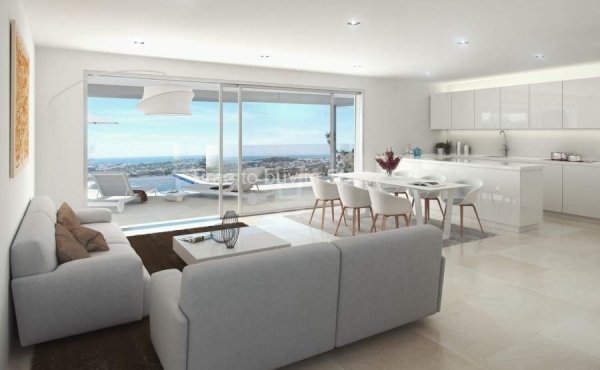 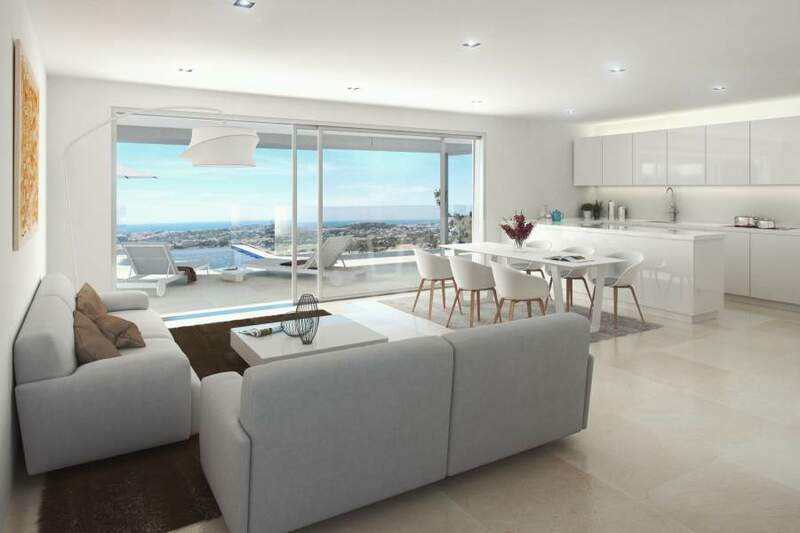 La Morelia de Marbella is a new, contemporary off-plan apartment project in Nueva Andalucia. 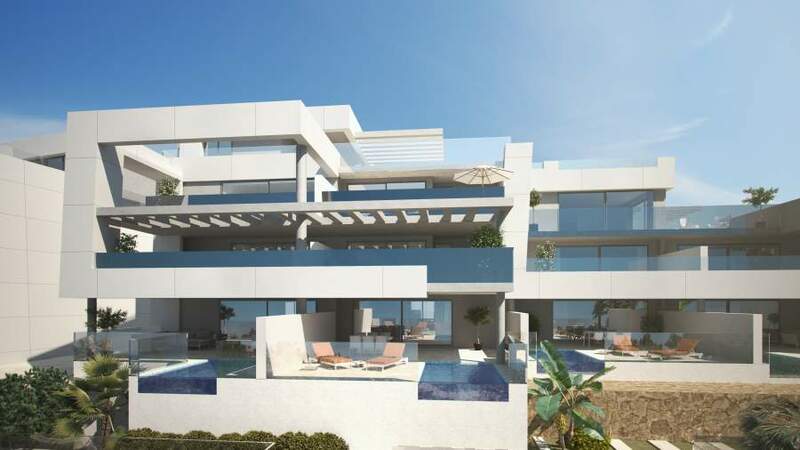 The location gives you the best of both worlds, a peaceful spot with spectacular open views across the golf valley to the sea, just a few minutes from all of the facilities that Nueva Andalucia and Puerto Banús have to offer. 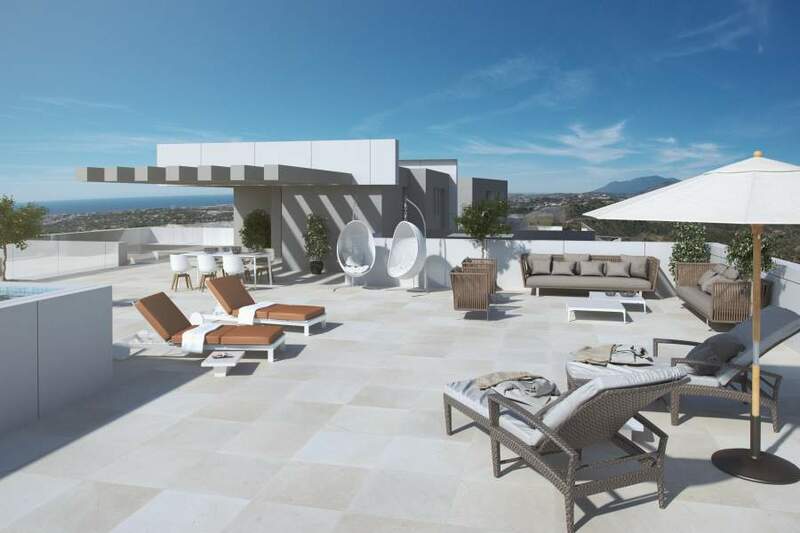 La Morelia de Marbella is an exclusive development project of just 18 unique properties comprising of apartments, duplexes and penthouses 10 of which have their own private pools. 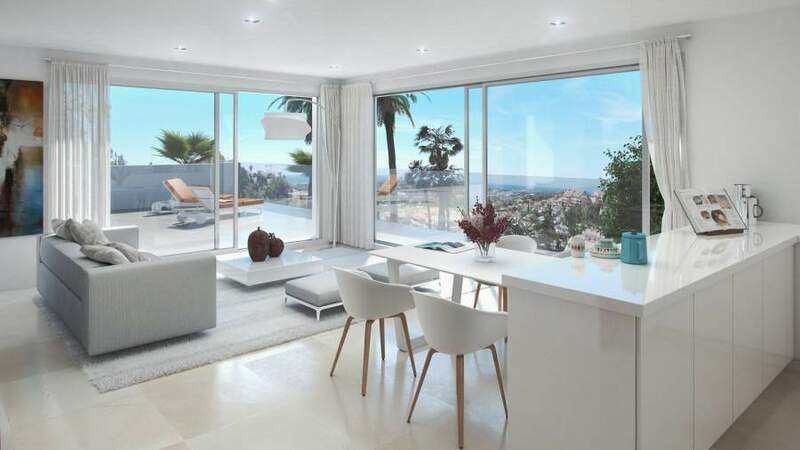 Designed to maximise stunning coastal views and surrounded by tropical communal gardens and infinity pools. 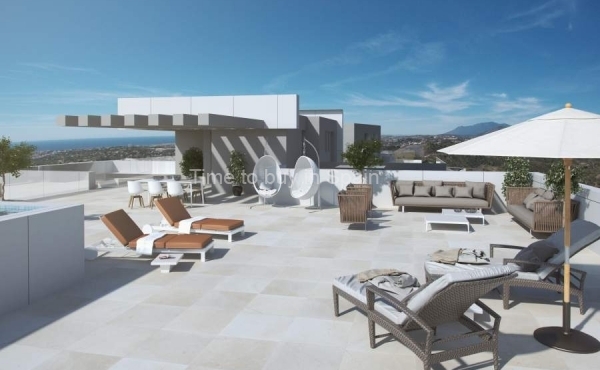 La Morelia de Marbella is a unique boutique development in a privileged position. 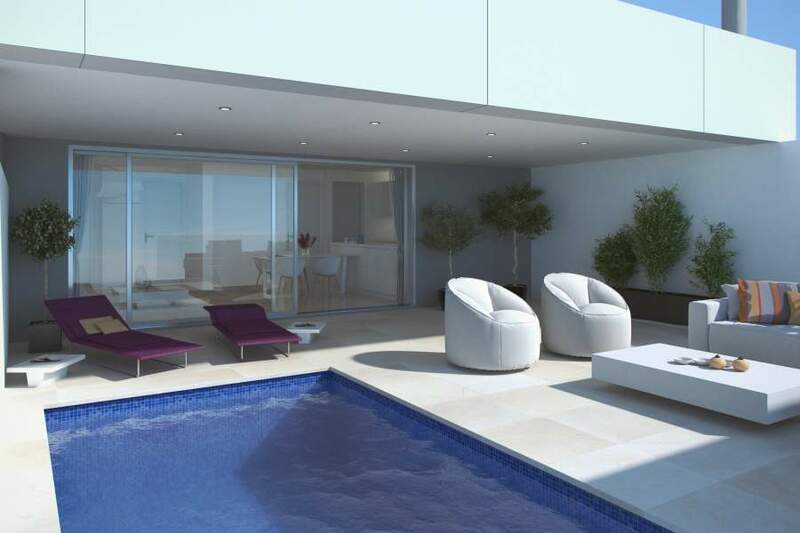 Situated on an elevated plot in one of the most sought after locations of Marbella, the Golf Valley, Nueva Andalucía. 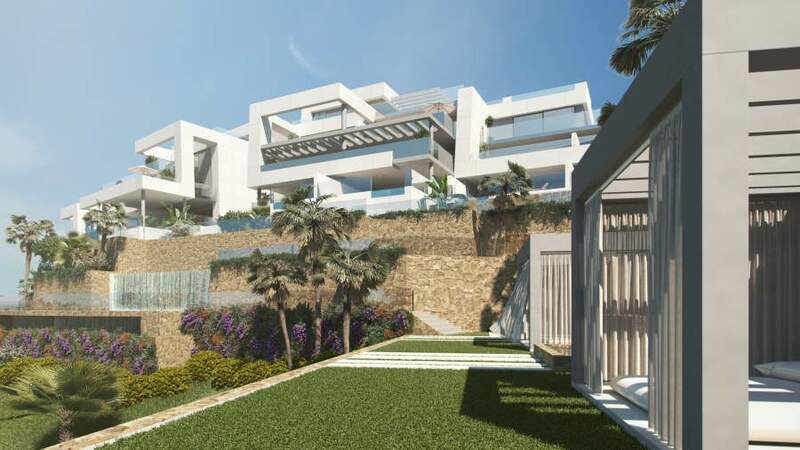 The project boasts some of the best views available on the coast across the valley to the Mediterranean, Gibraltar and Africa. 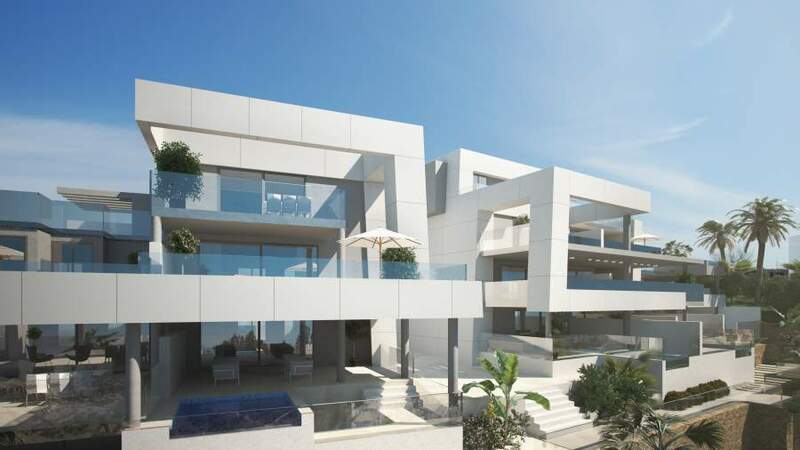 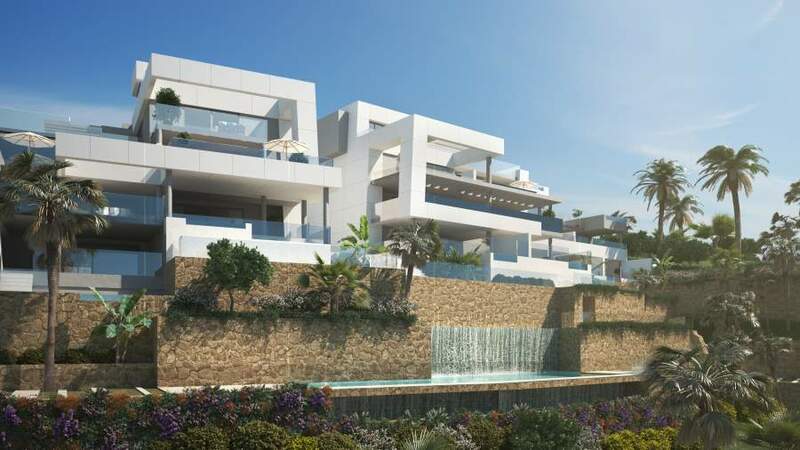 We have introduced our trademark contemporary styling into this picturesque area and the development arguably offers the most cutting-edge design and superior quality available in Nueva Andalucía. 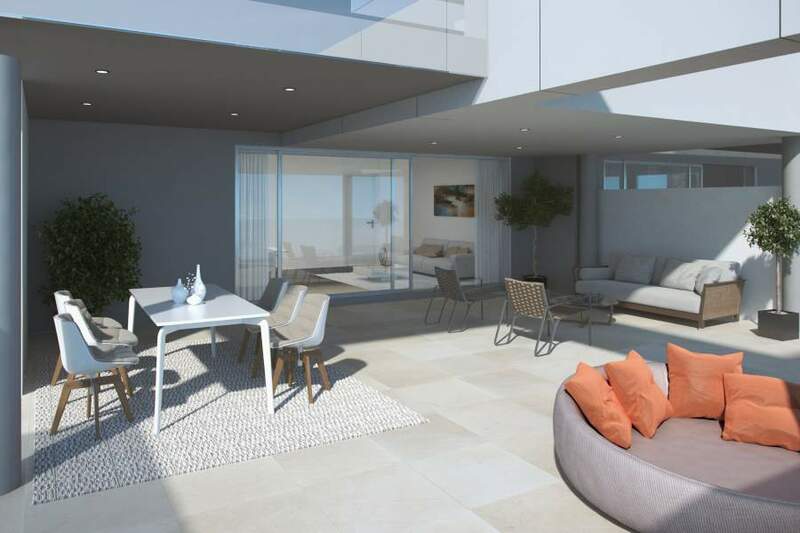 With just 18 spacious apartments, duplexes and penthouses available, buyers will enjoy exclusivity, modern styling, stunning views and premium quality in an enviable location.